Welsh, as a living language, is used by an increasing number of speakers, in their everyday life. For this project, we’d like to thank the Welsh Language Commissioner for working with us to make Gmail available to Welsh speakers around the world. The project was completed through Google Translator Toolkit, which is a Computer-Aided Translation tool supporting over 100,000 language combinations. Spanish is spoken by more than 300 million people in the Americas and the Caribbean. 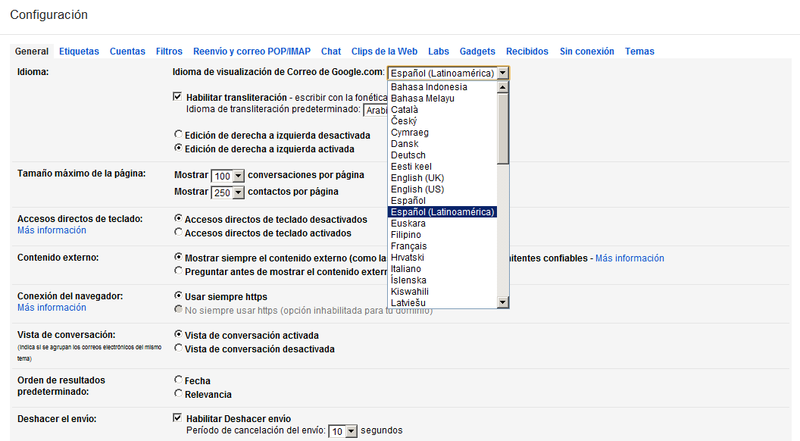 The Latin American Spanish version of Gmail is designed to be a closer match to the expectations of Spanish speakers in the Americas. These two languages bring the total number of supported languages in Gmail to 56.